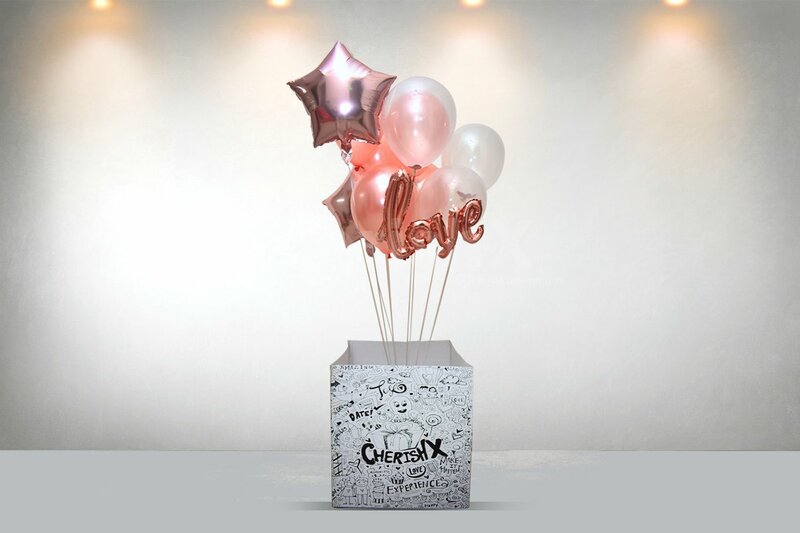 Surprise box full of balloons in a star shape, round rosegold balloons & a Love foil balloon. Add a zing of surprise & loads of amusement with this beautiful surprise box. Though every day is a day of love but it's good to put an extra effort to make the assigned day of love extra special. Remember when as a kid you used to enjoy playing with balloons? Bring in the inner child alive once again & gift your girlfriend, wife, husband or boyfriend a box of love. Redefine Valentines with this 2019 & stand out from the crowd by presenting a balloon surprise box to all the precious people in your life- mum, dad, grandmoter, son, daughter & so on! What say? 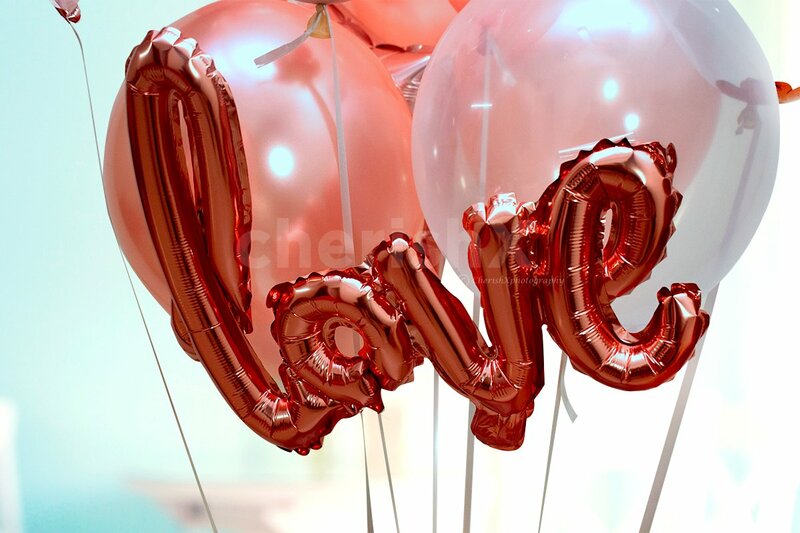 This cardboard box contains one love foil balloon, two star shaped helium foil balloons in pretty pink & a bunch of rosegold balloons in round shape. They come out so elegantly once the box is opened. We assure it will bring smiles, happiness on faces of all the precious people & add life to the Valentines Day. Add a zing of surprise & loads of amusement with this beautiful surprise box. Remember when as a kid you used to enjoy playing with balloons? Bring out the inner child alive once again & gift your girlfriend, wife, husband or boyfriend a box of love. Redefine love with a balloon surprise box to all the precious people in your life- mum, dad, grandmother, son, daughter & so on! What say? 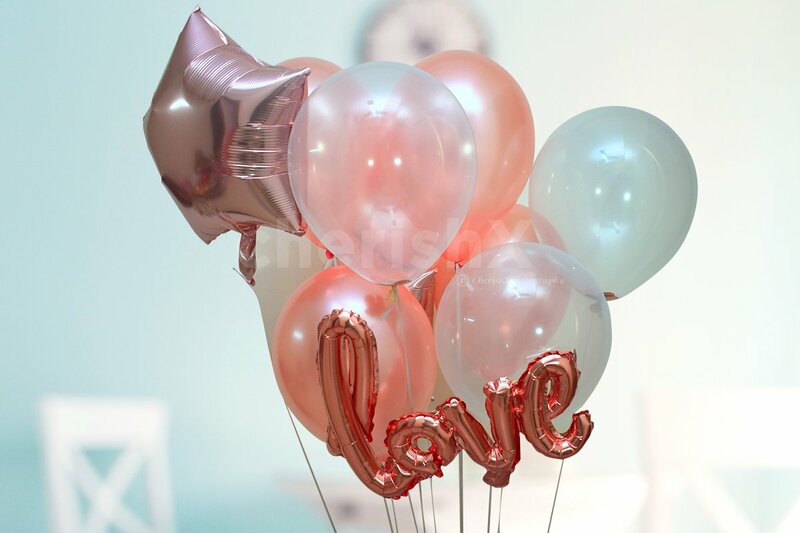 This cardboard box contains one love foil balloon, two star shaped helium foil balloons in pretty pink & a bunch of rosegold balloons in round shape. They come out so elegantly once the box is opened. We assure it will bring smiles, happiness on faces of all the precious people & add life to any occasion. Customise the surprise box with additions like a cake, printed photos, personalised message card (that we highly recommend) or even a chocolate box among others.